Throughout the home of Elmer and Anna Hill, you can find an array of art pieces. Altogether there are 127 donated art pieces, mostly created by artists who have had cancer or knows someone who has it. NOLENSVILLE, Tenn. (WTVF) — Throughout the home of Elmer and Anna Hill, you can find an array of art pieces. Altogether there are 127 donated art pieces, mostly created by artists who have had cancer or knows someone who has it. Elmer and Anna know all too well the hardships cancer can bring. Elmer is a survivor of thyroid cancer and his wife, Anna, is a breast cancer survivor. "One hardest things I ever had to go through was when Anna was going through treatment," said Elmer Hill, "Seeing someone you love hurt, it's hard." Through the organization " Round Up for Nolensville ," they were able to put together this silent auction known as " Art from the Heart ." "We just know what they are going through and remember all the help we got through our neighbors. We want to pay it back," said Anna Hill. Proceeds will go towards helping other Nolensville residents battling cancer. "If we can help alleviate some of that daily concern and just let them focus on getting well," said Elmer, " We want to help people get their mind off of things like getting the house cleaned, the laundry done, the lawn mowed. According to the CDC, Tennessee has one of the highest Cancer death rates compared to the rest of the country. The event will be held at Mill Creek Brewing Co. located at 2008 Johnson Industrial Blvd in Nolensville. It will be taking place on Saturday April 27th from 6 pm to 8 p.m. The event is free to the public. 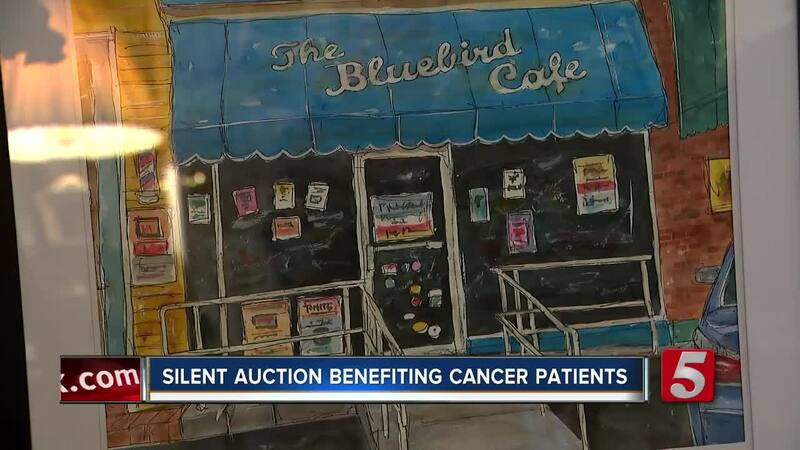 Mill Creek Brewing says they will be donating a dollar from each pint purchased during the silent auction back to "Round Up for Nolensville," specifically the cancer care portion.